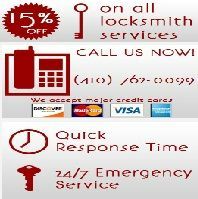 Reisterstown Secure Locksmith - "Fully certified and background cleared locksmith professionals"
"As a resident of Reisterstown, locksmith service for residential, commercial and automotive use that is always available and very affordable is found by calling Reisterstown Secure Locksmith. We offer 24-hour emergency service, fast response times, and lock and key services that are done to the highest of standards. Our Reisterstown locksmiths are not only skilled and well trained; we are licensed, bonded and insured, as well. Our family operated shop sets a high standard for treating our clients and we love to surpass it whenever we can. Whether you need panic bars installed on your commercial doors, or can’t get your car’s trunk open; when you need a locksmith in Reisterstown that is always professional, call our shop." "Mount Washington Secure Locksmith hopes that you will give us the opportunity to impress you."